Will China Be the Next Real Estate Bubble to Burst? Real estate in China has experienced a remarkable expansion in recent years. This development, however, has not gone parallel with the demand for real estate. If the situation reaches a crisis point, the consequences will be serious for the Chinese economy and for the world economy as well. The real estate bubble in China affects mainly residential real estate. It reached its most rapid expansion between 2005 and 2009, when average housing prices tripled, because of government policies encouraging real estate purchases through increased bank lending at low interest rates. This is a policy that had begun in 2003 under Wen Jiabao. One reason for that expansion is that, since social welfare and pension systems are not as advanced in China as in more developed countries, people feel safer buying real estate. Men seeking a wife also think their chances are greater if they own a piece of real estate. In China, most people consider home ownership a necessity, not a luxury. This bubble continued to grow, a phenomenon similar to that of the United States and some European countries like Ireland, Greece, and Spain, and resulted in the construction of more than 64 million additional apartments. Because of overcapacity across many industries such as chemical, steel, textile, and shoe industries, they started establishing their own real estate divisions, expecting higher returns from them than from their own industries. Before leaving office, former Premier Wen Jiabao stepped up a campaign started in April 2010 to control the rapid development of the housing market, placing stricter limits on loans to purchase homes. Buyers, however, were not deterred and real estate prices continued to increase each month after March of that year. Although there are signs that the Chinese economy is rebounding, and given the poor returns of other investment options, many people still consider real estate a choice alternative investment to preserve their assets. Estimates place real estate at more than 60 percent of household assets since 2008, compared with approximately 20 percent for cash deposits. 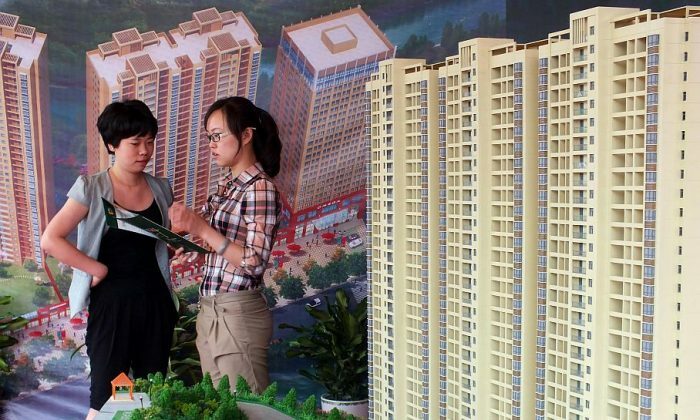 The Chinese central government’s efforts to cool an overheated property market have been frustrated by local governments in smaller cities, where housing prices have not climbed as steeply as in the bigger ones. Governments in smaller cities are therefore less inclined to enforce Beijing’s directives on how to address the situation. This upward trend in prices continued for several years and started to deflate in 2011, when home prices began to flatten and even fall in several Chinese cities, slowing economic growth in 2012. Increasing urbanization rates in China may sustain demand for quality housing, something that didn’t occur in countries going through a similar process. China’s urbanization rate at slightly over 53 percent is still behind those of most developed countries, whose urbanization rate is over 70 percent. The Chinese government confronts a dilemma: if it lends more money to developers it may prevent social upheaval. But at the same time it may risk making the real estate bubble even bigger, and to such an extent that it will be difficult even for China to control. Dr. César Chelala is a co-winner of an Overseas Press Club of America award.